First A-LOOK Malaysia store opened in 2003. As the business grew, A-LOOK ventured into the establishment of biggest fully open concept chain stores in Malaysia. 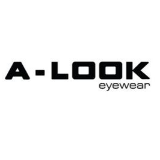 The unique business strategy that A-LOOK has successfully executed is to fix the product prices into three tiers, thus eliminating the process of bargaining so that its customers can easily and comfortably find the trendy sunglasses and eye frames that best suits their lifestyle and image under one roof.